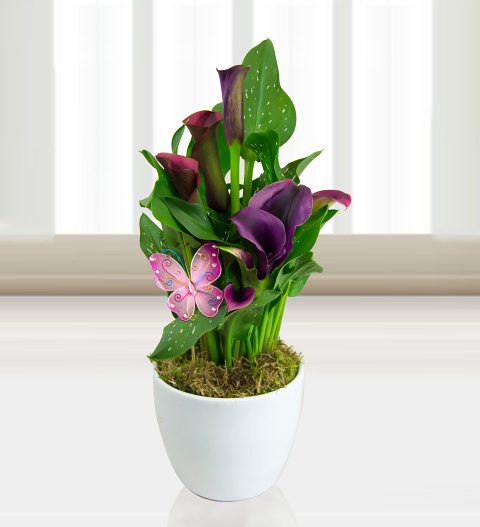 These gorgeous Calla lilies are beautifully planted in a pot with a beautiful butterfly to make a wonderful gift. These callas are easy to look and love the sunshine. Brighten someone&apos;s day with with this luxurious plant sending your biggest good wishes.